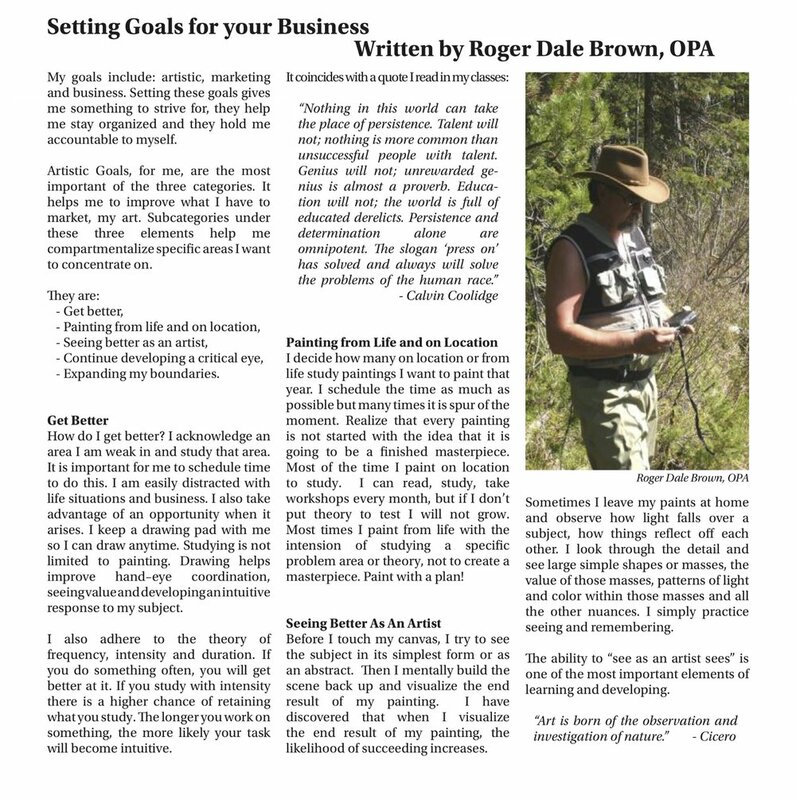 If you are interested in being more creative, learning more, finding inspiration and pushing yourself to new art heights, check out this article by Roger Dale Brown, a passionate and talented oil painter. The topic of setting goals and constant self improvement is very near and dear to me as I am a big believer in the power of goal plans, vision plans, and action plans. Plan, plan, plan! I hope you enjoy Roger’s outline of how he sets goals and sets them into action. Thank you Roger for sharing your experience with the rest of us!